Real-time storytelling allows the audience to actively participate in the making of a story or advertisement. 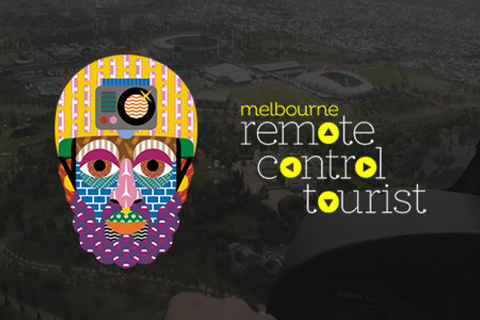 A recent example of ours, “Remote Control Tourist,” exemplifies this concept. For this, we used Twitter and Facebook to bring a global audience of 150 million people together into a live-streaming experience in which they navigated real-life tourists through an entire city. The story’s end: the first of its kind crowdsourced city guide. It’s this blend between show production, social media and interactivity that provides the model for the evolution of storytelling. This panel will discuss the unique creative, social media and production methods used to create this type of show or advertisement. Tool is uniquely positioned to provide this kind of insight having produced several projects in this category ranging from the interactive reality show “Screw*d” to the social documentary for the launch of Gran Turismo 6 “First Love” to “Remote Control Tourist”. responsible for building the company’s digital division and overseeing the development of interactive content that merges the worlds of technology, art and advertising. Recent signature projects include “Clouds Over Cuba”, an interactive documentary produced with the JFK Library in honor of the 50th anniversary of the Cuban Missile Crisis, Jam With Chrome, a groundbreaking online collaborative music experience for Google Chrome, “Take This Lollipop”, a haunting Facebook connect experience that is currently the fastest growing Facebook App of all time, “Screw*d”, an interactive reality show for Sears Craftsman tools and the “Touching Stories” interactive film iPad app, which was unveiled in a five-day Fast Company exclusive. His projects have been recognized with numerous awards, including at the Emmy’s, Cannes Advertising Festival, The Webby Awards, AICP Next, Clio Awards, FITC, One Show, Addy’s, SXSW, FWA, Awwwards, MTV VMA and O Awards, AICP, OMMA and Davey Awards. Academy of Digital Arts & Sciences; and serving on the Board of AICP Digital. Jason Nickel is at the forefront of creating interactive experiences that seamlessly blend social media with innovative storytelling. As one of the top technologists in the field, he has emerged as a leader in interactive video and Facebook Connect projects. Over the last 15 years, Jason has garnered industry-wide acclaim. He served as lead developer of the Facebook Connect sensation "Take This Lollipop". It became the fastest-growing Facebook app of all time, garnering over 60 million visits and 10 million Facebook "Likes,” and was featured on the cover of Contagious Magazine’s “Most Contagious 2011”. Jason also was the lead developer for the Cold War Kids' interactive music video "I've Seen Enough," which won AICP and Webby Awards, and was nominated for an MTV VMA. He has worked on a wide variety of interactive projects for clients including Farmers Insurance, Cargill, McDonald's and AT&T, which have been recognized by CommArts, One Show Interactive, and FWA, among others. Jason Zada is an award-winning storyteller and director. Most recently he was responsible for the Emmy Award-winning cinematic personal experience “Take This Lollipop,” which has been seen by over 100 million people around the world. The film gathered 13 million Facebook Likes, making it the fastest growing FB app of all time. It went on to win twenty-three awards, including an Emmy, a Webby, a Clio, and Best in Show at SXSW. Jason's unique blend of multi-screen storytelling landed him in Adweek/Creativity's Top 50 most influential creative personalities of 2012. Starting at an early age, Jason was attracted to non-traditional storytelling. Creating Super8 films, programming text adventures on his Commodore 64, and playing video games all formed a strong foundation on him becoming both an avid geek and storyteller.